In this blog, our intern and translation student, Camille Bacha, interviews our project managers Susannah Dempster and Lucia Tarantola about their experience with translation and their role as PMs for Robertson Languages International (RLI). Susannah: Hi, I’m Susannah and I work as a Specialist Translation Project Manager for Robertson Languages International. I work on projects that have specialised content such as pharmaceutical/medical, engineering and legal. I have 9 years of experience in the translation industry, and 7 years’ experience working in project management. I studied Italian and Spanish at university.My previous job roles were also within the translation industry, working in marketing and vendor management before starting in junior project management roles – all of which have been very useful to understand the roles that each team member plays in providing a quality translation. Lucia: Hi everyone! I am Lucia Tarantola and I work as Office Manager at Robertson Languages International. I started my career in translation 10 years ago working for a Global IT security organization as Italian Translator and Project Coordinator. 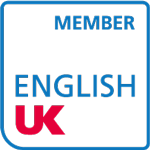 I joined Robertson Languages in 2015 as Translation Project Manager. I was then promoted to Operations Manager and only a few months ago I was offered the opportunity to be Office Manager. I hold a MSc in Technical Translation and Translation Technologies from Surrey University and a Degree in Languages (English and Spanish) from Bologna University. Susannah: Having done my degree in languages I still wanted to work in an area that would use these language skills without doing translation as my main role. Project management is interesting because it uses a variety of diverse skills and covers lots of subject areas. Lucia: I like planning and organising and I love working in fast-pace environments. Susannah: A project in which I was working on the full product development cycle and marketing of an ethical & eco-friendly product into multiple languages. It is fun to now see it available in shops and read the positive reviews online, on YouTube or in magazines.It gives me a feeling of satisfaction to have managed it from its early development stages through to the final marketing campaigns. I am proud to have helped to increase the brand presence of such a great product. Lucia: I really enjoyed working on the translation and DTP of a shoes magazine for the Japanese and Arabic markets. The final product had to be perfect before going to print and we all worked very hard to achieve the high quality expected. We had several rounds of revisions and we had to be very careful with versions management. Communication with the client and local markets was key to its success and helped to create new translation opportunities for us. What are the benefits and the downsides of being a PM? Susannah: The benefits are that you get to work on projects across a variety of industry sectors and there is always something new to learn. The downsides are that it can be quite high paced and many projects have tight deadlines. Lucia: I love interacting with professionals from different countries and cultures. I also really enjoy the fact that each project is different from the previous one. Although when technology doesn’t collaborate, it can be frustrating! What made you choose to work within an agency and not as a freelancer? Susannah: A stable income means you have the security of knowing how much you will earn each month. It is also nicer to work with other people rather than alone, you have the opportunity to learn from your colleagues. Lucia: I like the office dimension and being surrounded by lovely colleagues. What do you think interns can bring to a LSP Agency like yours? Susannah: It is always useful to have more hands available to help out on projects! I think it is also good to have a fresh perspective, new ideas and knowledge of new industry developments. Lucia: Interns are of great help in contributing to the delivery of our projects to the high standards our clients expect. Camille has been amazing at helping with quality assessment, creating projects using our CAT Tools and familiarising herself with our PMS – she is a key element of the RLI team! What is your opinion on CAT Tools for Translation and Project Management? Susannah: CAT tools are very useful for translation, they enable us to make sure that the text is accurate and consistent with previously translated material. They also allow us to easily select repeated text for speed of translating. For project managers, CAT tools help us to have control over a project, but they can be a challenge as there are a few available and a lot of your day can be spent trying to resolve integration and tag issues, especially if the translator is not a competent user. Lucia: CAT tools are essential when they work. They definitely help to guarantee consistency and good quality. The world of translation is undergoing a great number of changes recently with the widespread development of machine translation for instance. How do you see the translation market evolving in the next 5-10 years to come? Susannah: I think there will definitely be more emphasis on machine translation as a lot of big companies are investing in developing this technology. This means that we will need to adapt to working in a different way as the demand for machine translation increases as the quality improves. Lucia: I think the future is bright for translation, if we are prepared to embrace the new technologies with a positive attitude and adjust our roles to new demands and expectations. Many thanks to Susannah and Lucia for their participation. To read the original interview in French, please click here.